Personality Assessments Delivered By Certified Trainers! Measuring skills and abilities is only one part of an effective assessment process. Personality tests can give you an insight into a candidate’s work styles and behavior and using them as part of your recruitment and development strategy will help you select, retain and promote the best staff and leaders in your organization. Where their strengths lie and where they will need more development. OWLS, offers a variety of online personality and behavioral assessments; such as the Myers Briggs and DISC. We conduct state of the art workshops, using accelerated learning methodologies, on validating and using the instruments. For individual reports just call us 1-866-535-OWLS (6957) and we will provide you with a secure online login and password to begin the assessment process. All of the behavioral personality assessment instruments we use have been validated and are presented by certified consultants. All of our workshops are innovative and engaging for all of the participants and integrate individuals’ natural behavioral tendencies into our team building process. Emotional Intelligence (EI) is about being aware of emotions, navigating and using the emotions to make intentional healthy choices, and having a purpose to make a positive difference in self and others. According to David Eagleman (author of “Incognito: The secrete Lives of the Brain”), there are rational and emotional systems in human brain. 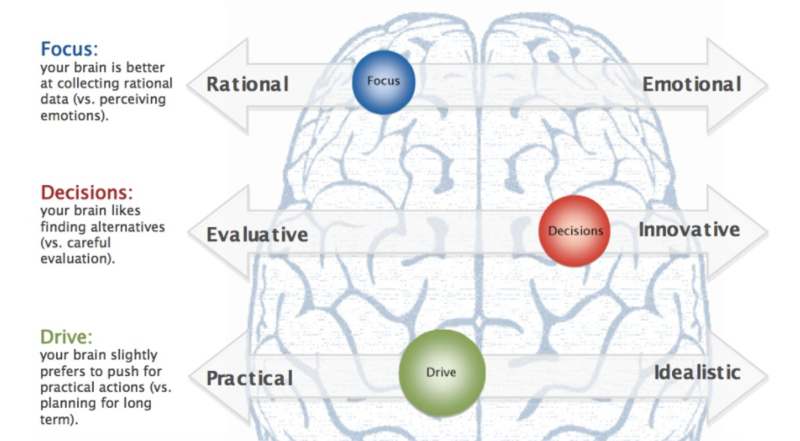 Emotional Intelligence is the fusion of emotional drive and rational thinking. Emotional Intelligence Competencies (EIC) are learnable and measurable. There are targeted tools and practices and everybody has abilities to be more emotionally intelligent. Six Seconds EI assessments (SEI and SEI 360) provides the window into the eight competencies and the exhaustive report provides tools and practices to help increase the EIC. 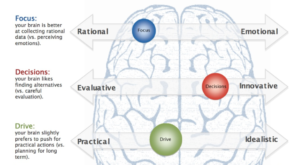 EIC can also be used to determine “Brain Styles.” Knowing how we collect data, make decision, and what motivates us, we can communicate better, have a cohesive team that is highly productive. Organization’s EQ (Emotional Quotient) is highly predictive of the culture and vital signs. 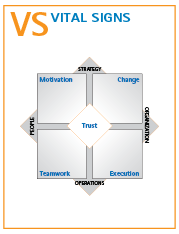 Understanding the vital signs of leaders, team, and entire organization is crucial in determine the trust level between different entities.